According to the football transfer rumours in Turkish Media (Fanatik), AC Milan are preparing move for Fenerbahce defender Simon Kjaer. The Denmark international was signed by Fenerbahce in July 2015 from Lille for a fee of 7.65 million euros. The 28-year-old has a valid contract with Fenerbahce until June 2019. 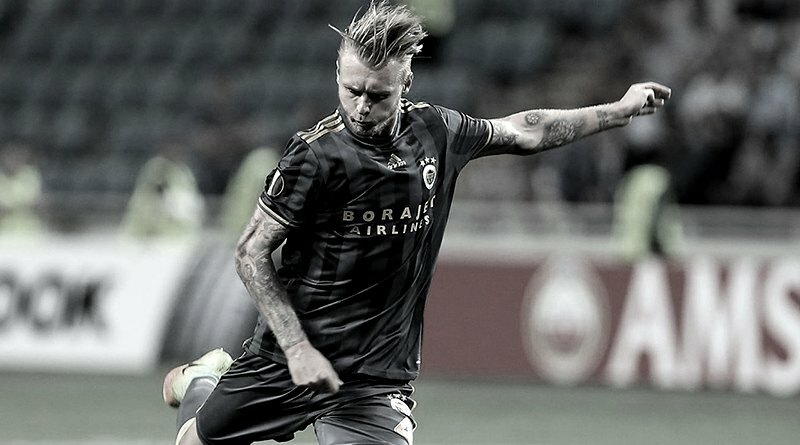 Since his arrival from Lille, Simon Kjaer has scored five goals and provided one assist in 88 games for Fenerbahce, including three goals and provided one assist in 43 games in all competitions this season. The Denmark international has been in outstanding form for Fenerbahce this season. Simon Kjaer has represented Denmark at Under-18, Under-19, Under-20 and Under-21 level, winning 14 caps and scoring one goal, before making his senior international debut in June 2009. As a member of Denmark national football team, Simon Kjaer has won 67 caps and has scored three goals. Adding a defender and striker remains Milan’s top priority this summer and Vincenzo Montella will have drafted a shortlist of a number of possible targets he could approach in the coming weeks. The Denmark international is thought to perfectly fit the profile of defensive player Vincenzo Montella wants to target in the summer transfer window. Milan are desperate to make an impact in this summer transfer window. Fenerbahce are not in a position where they need to sell and would like to keep hold of the defender, but offers of at least 20 million euros may force the club to consider a deal. Having signed Simon Kjaer in the summer of 2015, to make a 12 million euros profit on the 28-year-old, without question, will be fantastic for Fenerbahce is a good deal all round. Liverpool, Monaco, PSG and Lyon have reportedly registered an interest in his services and have enquired over his availability. It’s now down to the manager and the board to decide his future.